Feature momentary contact, 4 pins, rectangular black push button, through hole mounting, 12 x 12 x 12mm size, etc. 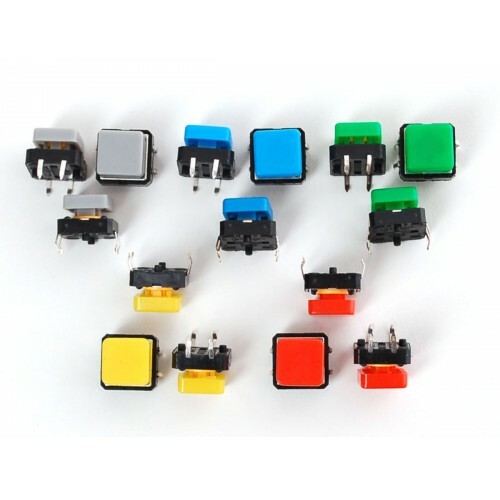 The tact push button switch are widely used in appliance, electric torch, flashlight, or electronic DIY projects. Features a built-in black square pushbutton for easy mounting.